Observe the images to the left and right. The periodic table symbol is on the left, while a diagram on the atom is on the right. 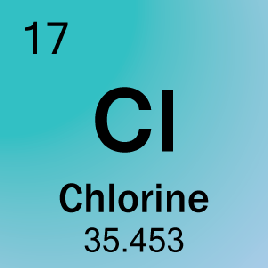 On the periodic table the Letter is the chemical symbol. The symbol can be one or two letters, but the first letter is always capital, while the second or third is always lower case. 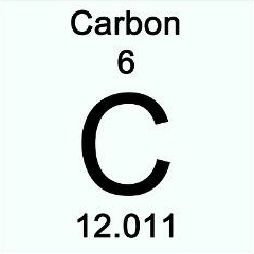 The atomic number is found above the symbol. In this case it’s 14. 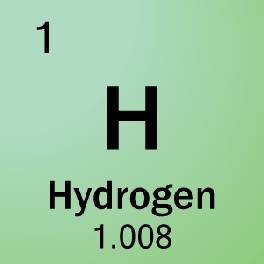 This means the number of protons in the nucleus. 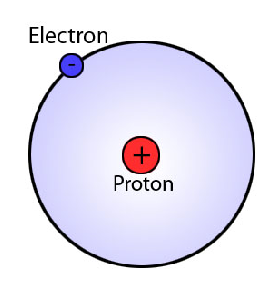 Unless the atom has lost or gained electrons (become an ion), it also represents the amount of electrons. 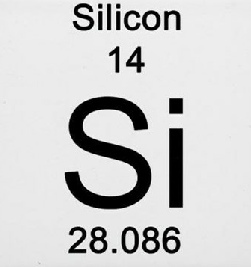 The atomic mass is at the bottom of the symbol. In this case it is 12. This tells us the mass of the atom. 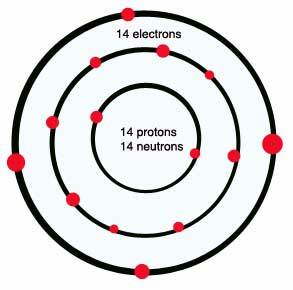 It’s calculated by adding the number of protons and neutrons in the nucleus. We group elements vertically (column). Elements in the same group react with other elements in the same way. 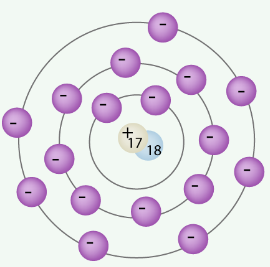 Noble gasses and Alkali metals are two very important groups because of their electron configuration. Noble gases are the most stable elements on the periodic table. 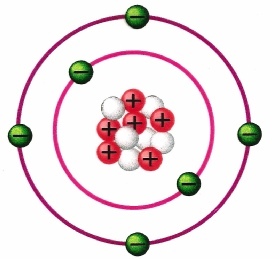 Every other element will either take or give away their electrons to look like their nearest Noble gas.